Last week was absolute craziness! 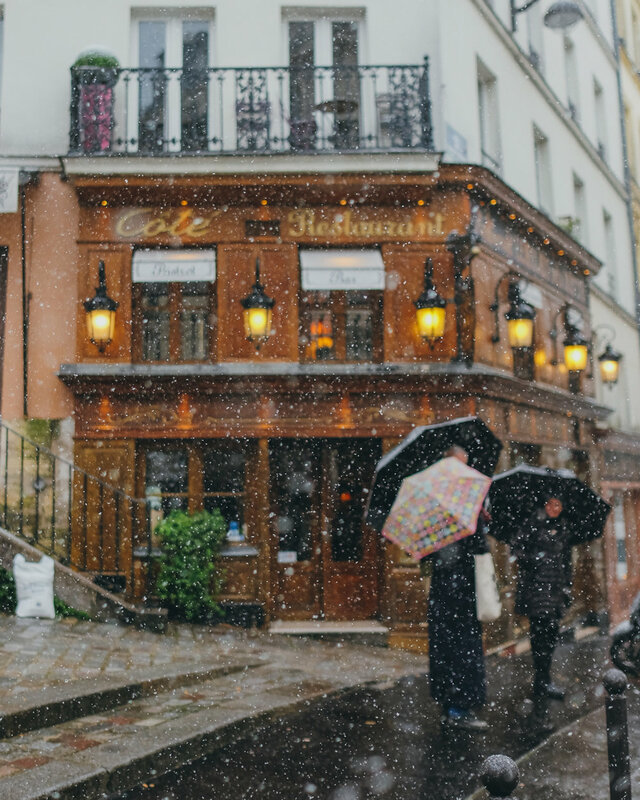 Shooting from 8am till 8pm, 5 days in a row, running in all directions while trying to unfreeze my fingers - this is what happens when it's snowing over Paris for the first time since 2013. 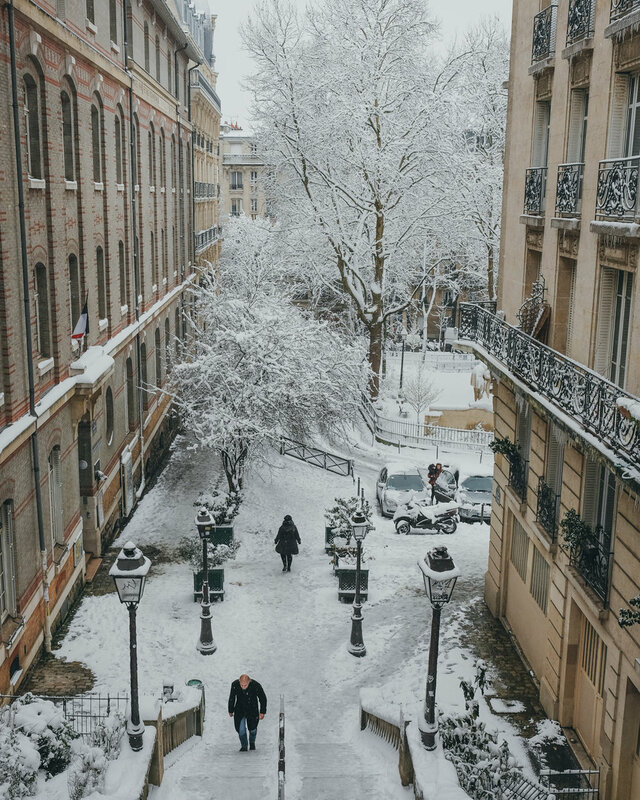 From the Eiffel Tower, through Montmartre, Tuileries, still flooded Seine river banks, Le Marais and Pantheon, all the city got finally covered with snow and I tried to immortalize as much of this unexpected beauty, as possible. First day was all about trying to capture... snow flakes! Still, the results turned out to be not too bad thanks to manual focus. 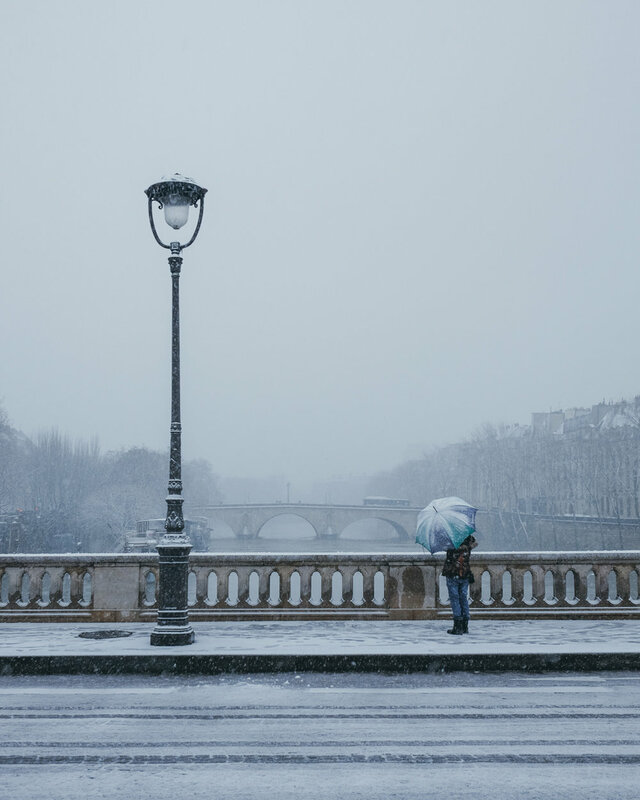 Within a few hours all became white and there was almost no traffic, as French are hardly ever prepared for more that 2 cm of snow. 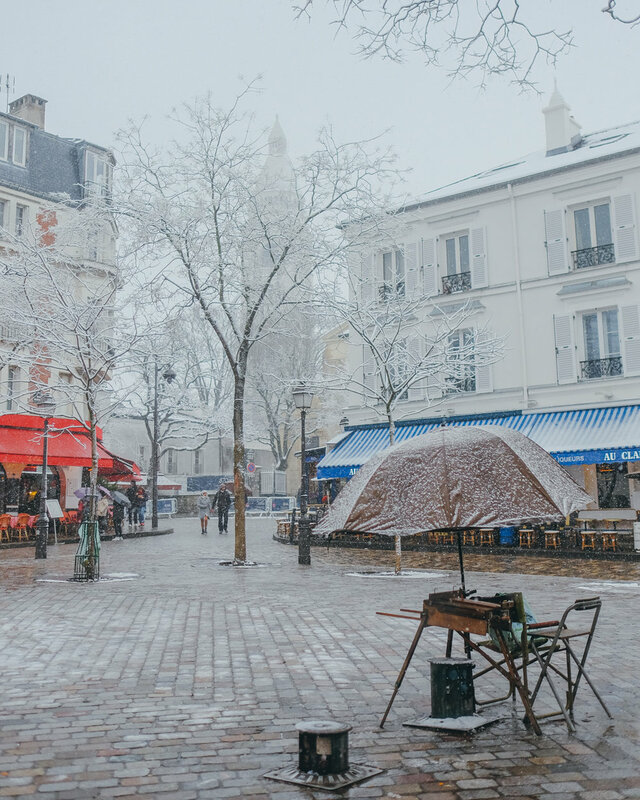 During those snowy days, Montmartre happened to be the place where I walked and shot the most. Partly because I live less than 15 minutes walk from there. 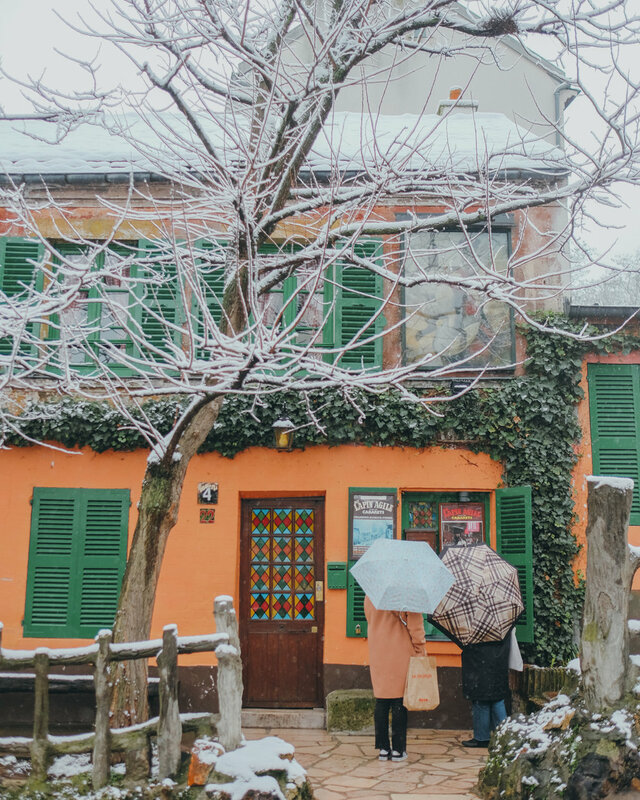 At the same time, it was definitely the most picturesque part of the city, a winter fairytale come true. 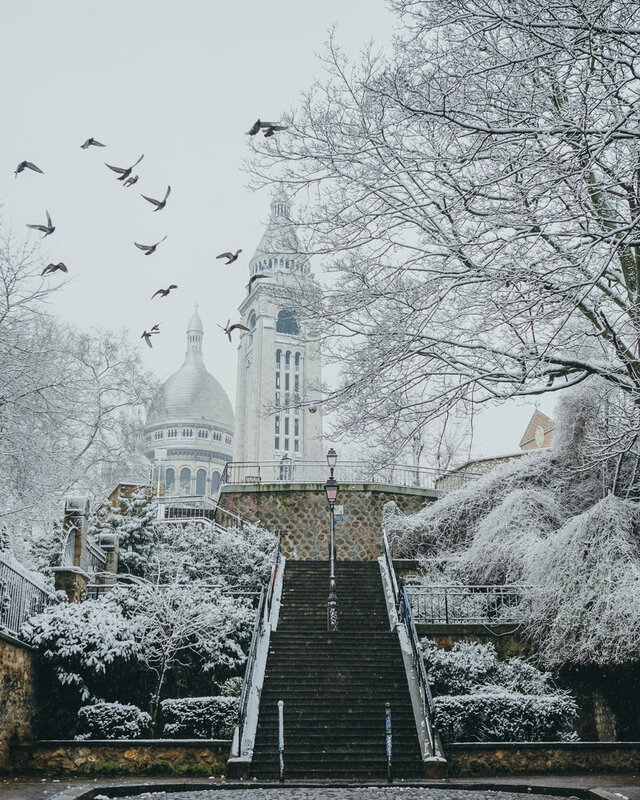 You might ask, what is so special about snow in Paris? Isn't it the most normal thing happening during winter? Well, the answer is: it should be! However, unfortunately snowfalls have become a true rarity in here. While between 2009 and 2013 there was snow every winter or almost, after this period it hasn't happened again till last week. That explains pretty well all the joy that I witnessed and experienced, altogether with other adults going crazy about it just as much as kids did. Now when everything's already melted away, I can say with a light heart that I enjoyed to the fullest those unique moments.